Bit late to the party! 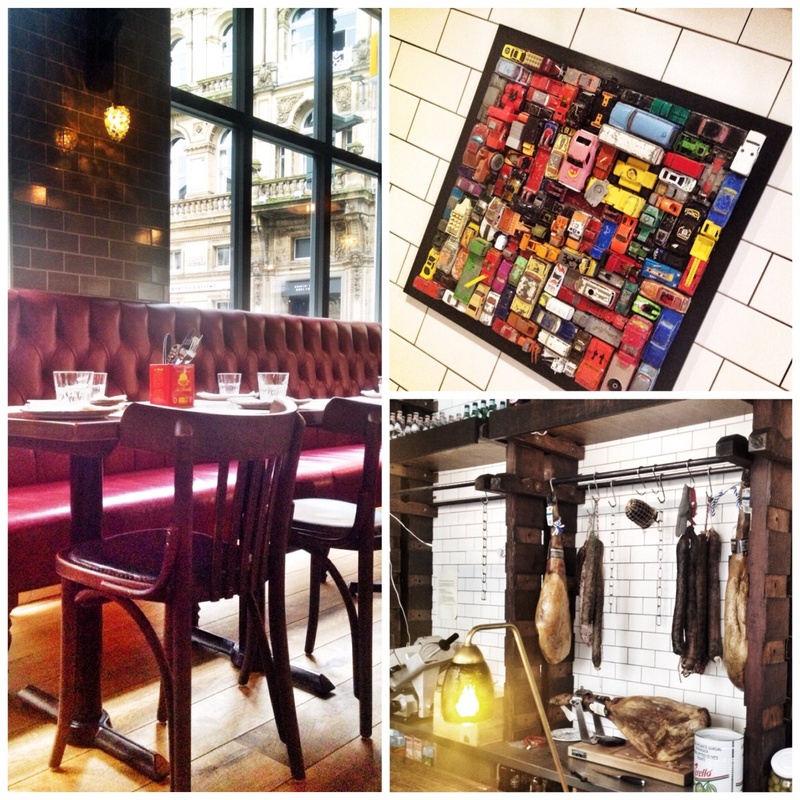 El Gato has been wowing the Manchester scene with its high end Spanish tapas for a couple of years now. After a few abortive attempts I finally took The Flame along for a pre-gig tea. I’ve been a few times for cocktails and have marvelled at the quality of the fit out that has been applied to this fine, three story, former retail outlet. It was pitched straight into the pedestrianised high end clothing scene in King Street. It was a strange location at the time, but it seems to have held its own despite a couple of other close by failures. There a swathes of polished oak, and potentially lots of cattle have laid down their lives for the seat coverings, (though I’m sure high quality faux may have been used!). If you’re really interested in the fit out, Sian Astley describes it far better than me in her Moregeous blog link here. We were on the second floor facing out to ‘Jack Wills’ and ‘Rapha’. Arguably the ‘golden table,’ it was a cracking spec. 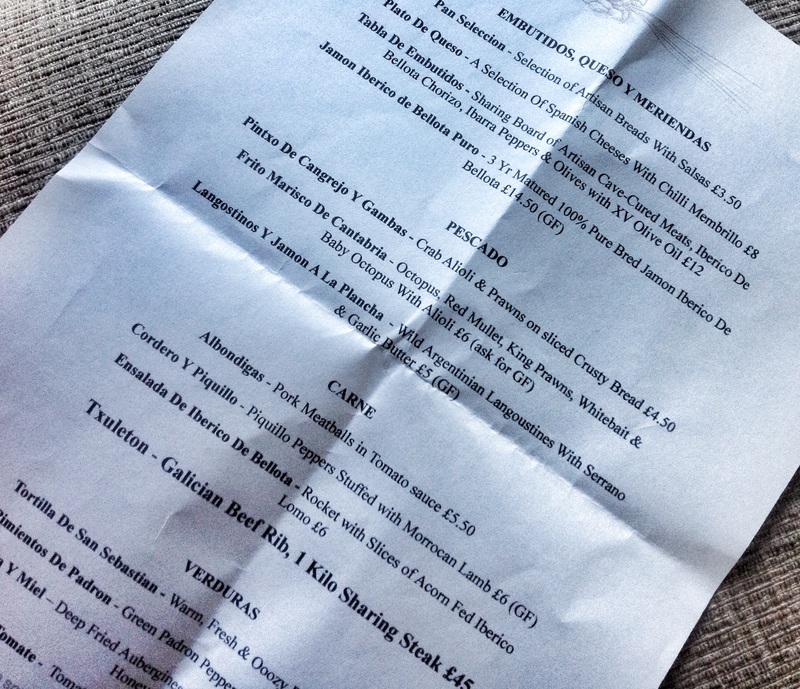 The menu preamble from chef patron Simon Shaw suggested three tapas each to start, so we duly obliged. A bottled pale ale and a mango fizz started the liquid proceedings. Within minutes the sourdough bread with oil and balsamic, the mixed salad with avocado and the Serrano ham with celeriac roulade were in place ready for battle. Further down the line my chargrilled octopus with capers and the morcilla scotch eggs on a mushroom duxelle with aioli arrived. Both triumphs. The soft grilled richness of the ‘pus’ offset wonderfully by the pickling and sharpness of the shallot and caper. The soft boiled quails eggs revealed their innards to perfection after bequeathing their meaty outer shell of blood and crumb, truly historic. In keeping with the tapas tradition, whereby chef simply releases the dish as soon as it is ready, it was a fairly lengthy wait for the final flourish of chicken thighs with mijo picon and shallots. Worth the wait though. I then had a traditional almond tart with cream to finish. I begrudgingly allowed the two spoon option, thus allowing The Flame a morsel or two. All in, the event turned in at a fairly hefty £72, which for a quick tea might take some swallowing for some. Its quality stuff though and walking round the place it soon became apparent that the place is holding up well. Most tables were full and the third floor boasts a retractable roof giving it a tremendous outdoor feel. 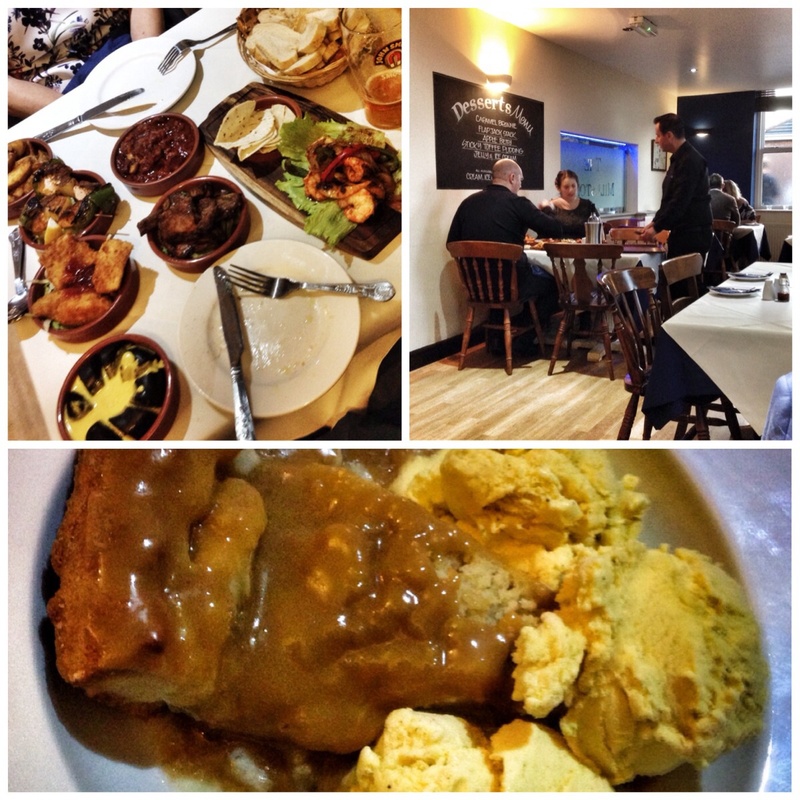 We loved it, definitely put it on the list for a special event on your next visit to Manchester. The weather forecast (even for Lancashire!) was looking good. “This is it!” I motioned to long suffering companion The Flame, “Ramsbottom, here we go, I need to try Baratxuri pronto”. To explain Baratxuri is the younger sister of long time favourite Levanter (reviewed here). 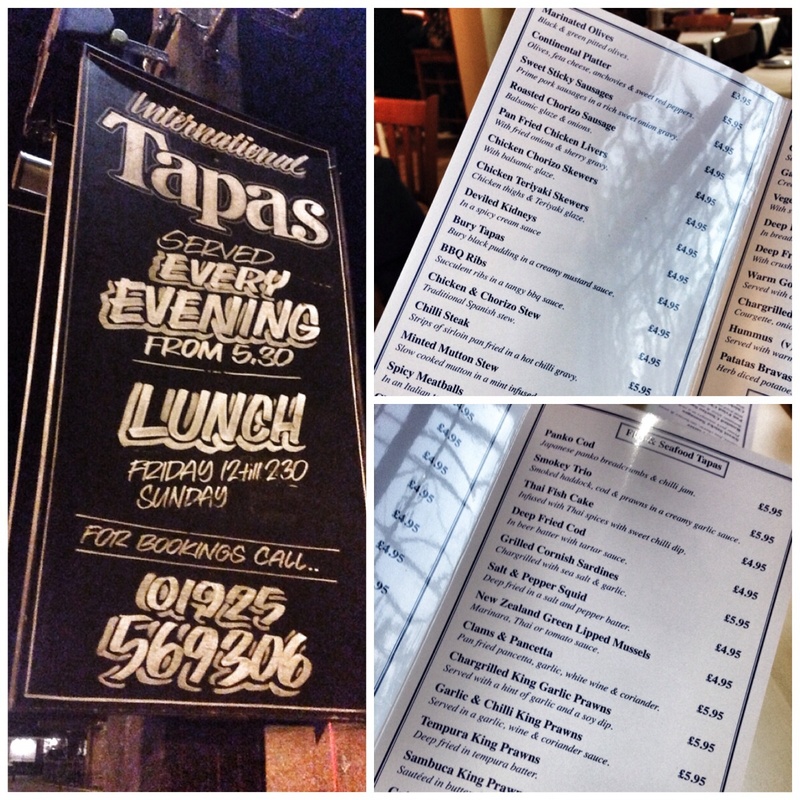 Both based in Ramsbottom, both the ‘brainchildren’ of Joe and Fiona, both serve up authentic Spanish cuisine of the highest quality. 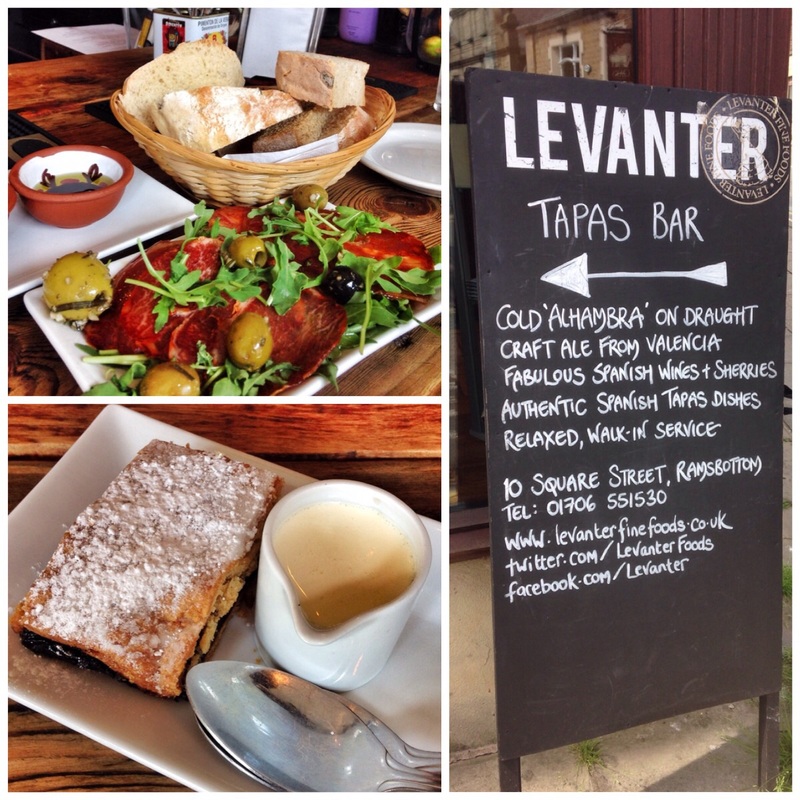 Levanter is billed as a tapas (small plates) bar; Baratxuri touts itself as a Pintxos (pronounced Peen cho!) bar. 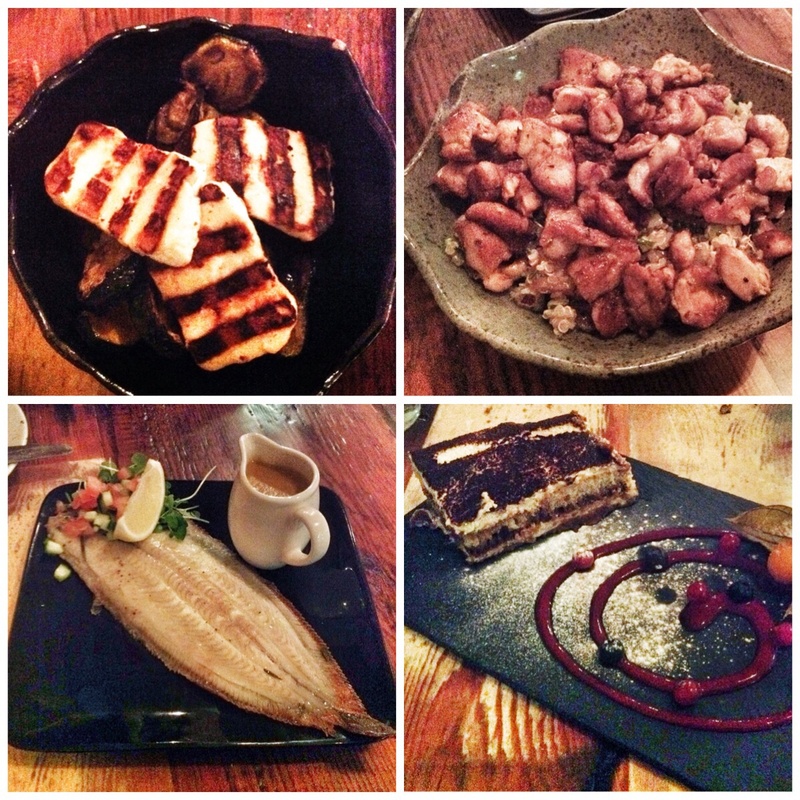 Whereas Levanter is wonderfully rustic, Baratxuri seems to have a more elegant feel. Similar in size, galley at the back, bar to the right, the walls are clad in a patchwork of colourful Spanish tiles. A slinky jazz track buzzes in the background. We selected one of only two tables in front of the sun kissed window. 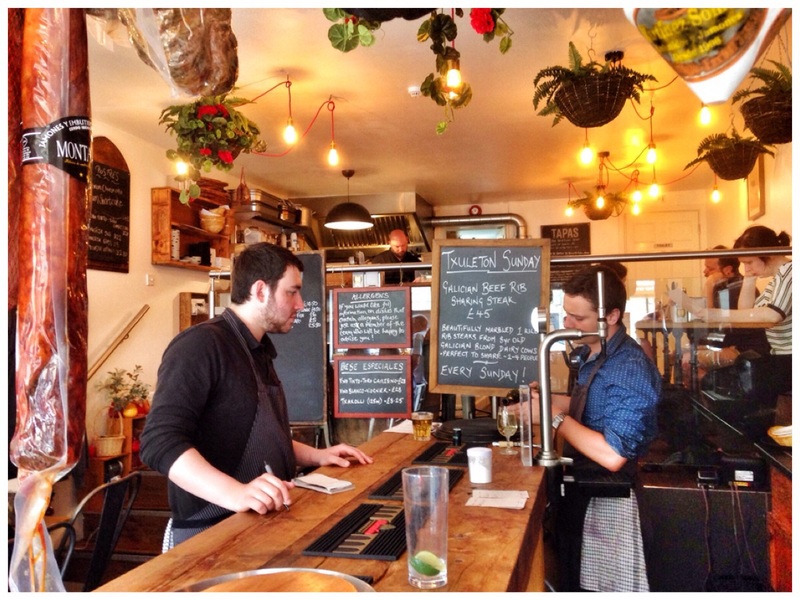 Most people where then left to sit on high bar stools around a beer barrel or up to a fitted café bar. Chalked boards detail the food on offer. I reckon twenty covers would fill it. It is a fabulously, relaxing space. Apparently Pintxo is a Basque word that literally means a “spike”. This would explain why all the bite sized goodies on the bar where harpooned with a wooden pick. The idea is that you slink up to the bar, order your txacoli (traditional dry white wine), take a plate and fill up with the exquisite morsels. They are £3 a pop. You simply stack the picks in a glass which formulates your Pintxo bill at the end. Great way to dine. As well as the small bites on the bar, a small board sets out further pintxos that are ordered up hot and fresh from the kitchen. Typically £4.50 each. Sunday adds the magnificent Mariscada as a special at £35 to share. As a lover of seafood it was this special that I was particularly keen to try. The Mariscada is a forty minute wait, (though it took around fifty! for us). We settled with a couple of Pintxos to satiate our cravings, one crab and one ham and cheese. Both decidedly pleasant. I missed out on a small bucket of octopus, one of the other pintxos that came out later. Finally having watched a couple of others come out before us, and after the tools, tomato salad and bread, our ‘feast of the sea’ was placed before us. A true sight to behold I’m sure you’ll agree? A dressed crab, half a lobster, sensational scallops on a bed of peppers and fennel sausage, grilled sardine, a mound of whitebait, two fabulous carabineros prawns and a bucket of lobster bisque. All piping hot and ready to go. We set about the task in hand with gusto. We picked, mopped, sucked, crunched, and slurped our way through a glorious tray of the freshest finery of the sea. Though not a big fan of seafood, even The Flame acknowledged the quality of presentation and value for money. We watched many people, couples and friends come and go. Some would grab a draft of Spanish beer others the wine and some pintxos, then simply move on. It all works superbly. All in we settled up at £48 pluis tip for a superb lunch. Allied to the friendly and knowledgeable staff it counts as another triumph for Joe and Fi and yet another ‘foodie’ reason to head over to Ramsbottom. What a place this is…. The Flame and I (mainly I) love Ramsbottom. Whenever we are stuck for a ride out, its first on my list as a place to hit. I’ve already jotted a few words here and there about the Sunday market, Hearth Of The Ram and dining on The East Lancashire Railway. 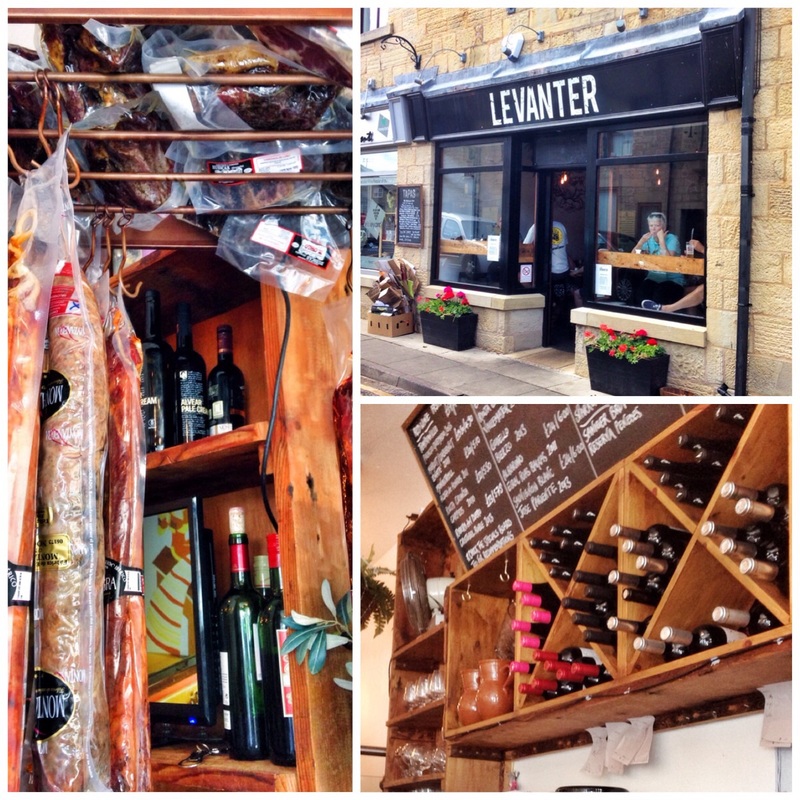 It’s a super spot, and now (well for several months actually) to top it all Levanter Fine Foods have opened a quaint, shops width of Spain. What an inspired enterprise this is. I’ve stumbled across Fiona and Joe (husband and wife team who own Levanter) several times over the last couple of years. I had the pleasure of devouring a plate of Joe’s paella at a Manchester food festival. I’ve bought their ‘sabrasada’ and fine iberico ham from the stall on Ramsbottom market. They’ve now ditched the outdoor stuff for a more ‘grown up’ existence running their tapas bar. It’s set left just off the Main Street as you walk up from The East Lancs Railway station. As I say it’s no more than a shop, but somehow, using ‘tardis’ technology they’ve levered in a bar, some tables and chairs, a raised section, some menu boards and a range to cook on. The whole ensemble creates an enchanting Spanish space. And when combined with the wonderfully excitable Fiona marshalling front of house operations you are soon left with that wonderful feeling that you’ve landed in just the right place at the right time. After some deliberation The Flame decided a couple of stools at the bar would work for us as we were only ‘nipping’ in for a light lunch. I just about managed to stop myself ordering the Sunday special of 1kg of ‘Txulerton’ Galician steak. At £45 a pop it’s become something bordering on legend status in these parts and it’s easy to see why. We saw a couple come out while we sat at the bar. Read Bacon On The Beechs synopsis here for more details and fine images. We settled for a more modest selection but nonetheless they all hit the spot. Being a Sunday (and following on from a hectic Saturday night) one has to consider the possibility of certain items being ‘sold out’. Despite the beautifully scribed chalk boards citing an array of fine foods we were encouraged to consult a printed sheet for Sunday lunch. Still plenty to go at. 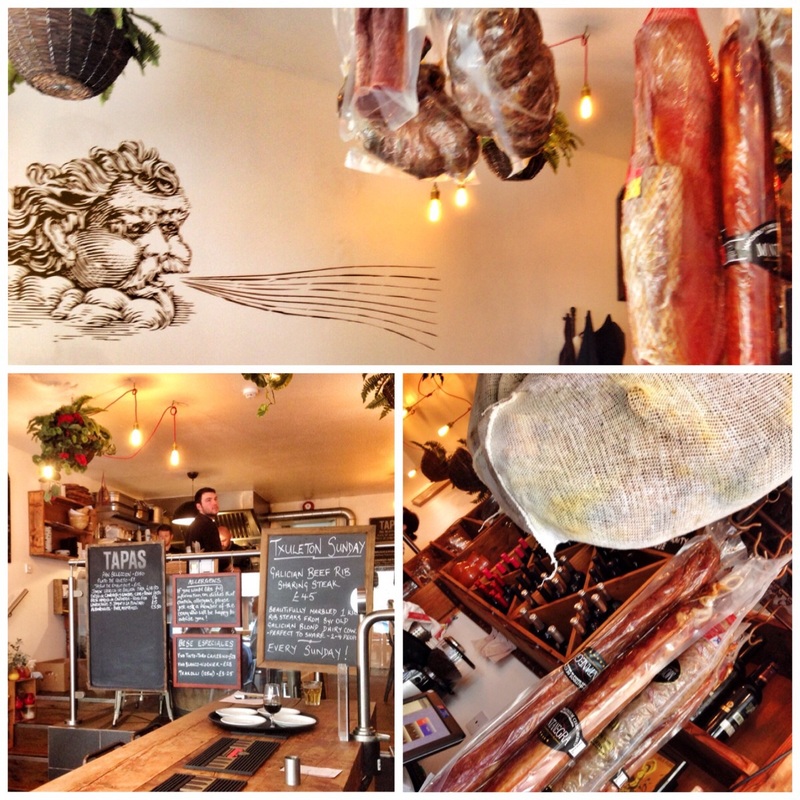 We settled on a selection of artisan breads with salsa (£3.50), the flame chose slices of acorn fed Iberico Lomo (loin) with rocket and olives (£6) while I settled on the mixed fish of octopus, red mullet, king prawn, whitebait, baby octopus with aioli (£6). We finished with a San Sebastián tortilla (£4) which came out as a sort of warm, fresh, oozy, potato, eggy pie. Being the sweety that I am I had a slab of plum shortcake with cream to finish. Even the flame (who is not a big fan of tapas) was moved to conclude that it had been an absolute delight. She wasn’t too keen on the tortilla and wouldn’t contemplate going anywhere near the baby octopus, but revelled in the quality and variety of the breads, the iberico ham was sublime and even had some of the octopus tentacle which was cooked to perfection. A very decent coffee finished a most pleasurable hour. It was a cold winters night. 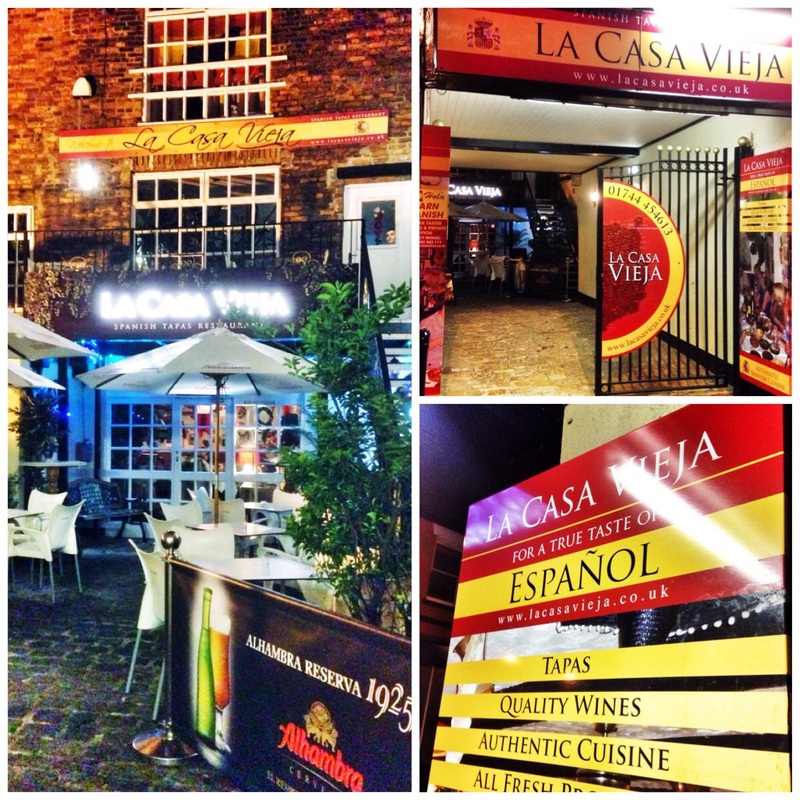 The Cooktwit and The Flame had bagged a spot in a party of ten at ‘La Casa Vieja’, a spanish restaurant in the heart of St Helen’s arty George’s Quarter. We were guests of St Helens ‘digital print magnate’ Keith Hughes. After a momentous Cooktwit paella cooked on a spade while camping in summer, Keith ‘the signage entrepreneur’ had declared that I need to get to La Casa Vieja to sample theirs. The time had come. I entered the complex via the imposing castle gates, each decoratively regaled with a smart red and yellow sign (done by Keith!). I swept through into a quaint courtyard of jasmine and pergolas. Once more the red and yellow signage leapt into frame. One can imagine in summer this would be a thriving little spanish village. As it was deep December even the smokers had stayed away. Once inside the Spanish theme is maintained. Guitars, hams, donkeys, lutes and various maps And paintings litter the walls and ceiling. It’s all rather quaint. A small half of ‘Alhambra’ lager was ordered as I waited for the rest of the gang. As we were the first in, the waitress handied us a couple of menus to peruse. I could be being a little churlish here, but in the subdued light the obligatory shiny, red, yellow, laminated menus were difficult to read and understand. Dishes flashed all over the place. And there was some large sums involved with some of them. Written with a felt tipped pen, a casual glance suggested this would not be a cheap night out. £6.75 for a dessert! This needed to be good. The menu format had an air of ‘English bar in Spain’ for me, but as I say I could be being churlish. Clear black on crisp white always works best for me. Then the entourage assembled. 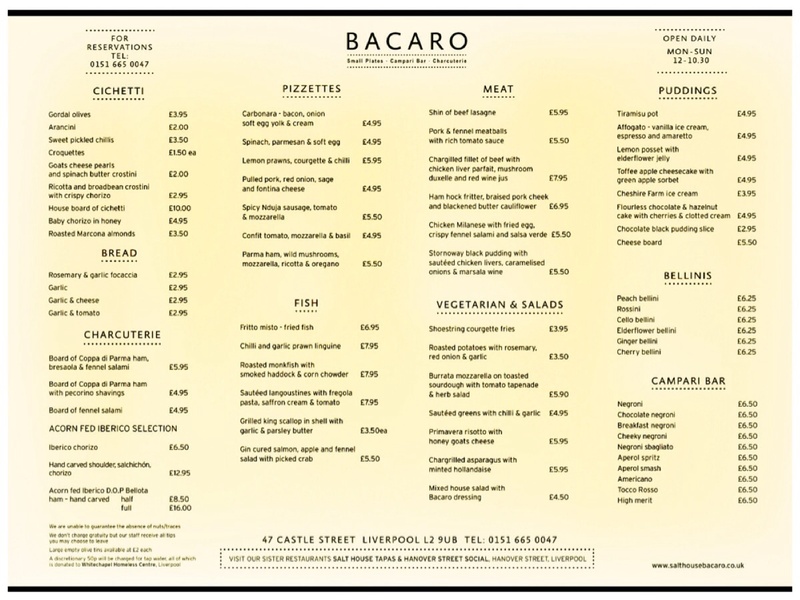 Head visual guru Keith suggested we scrap the menu, go upstairs and see head chef and owner Manolo and see what’s in. Great call, I headed up and sure enough amongst the flurry of flames, steam and wonderful smells, a burly, rosy cheeked, Mediterranean chap, burst into song. We flung our favourites at him, liver, fish, seafood, steak, anything. He laughed and roared that everything is fresh and he has everything. “how many of you?”, “ten” we shouted. “Leave it to me, I will keep sending down the food”. It all seemed fair enough to me. I rushed down excited. Sure enough the food started to arrive, olives, prosciutto, bread to start, then came meat balls, liver, beef in red wine, chicken in cream, chicken with chorizo and a glorious fruity salad, all gleefully imbibed by the waiting party. But the best was to come. After a short delay, in came an enormous silver platter drenched in food of the sea. Sadly my photos don’t do it justice. We drew our collective breath and dived in. Huge prawns dominated, closely followed by belly loads of squid, mussels, clams before moving down to flanks of salmon, sea bass, dorado all slicked in garlic, herbs and a light, seafood broth. It was divine. Despite ten of us piling in there was plenty to go round. We all got a bit of everything. Truly superb. Toward the end Manolo himself came down to see how things were going. The thumbs were all well up. After asking whether the desserts were fresh and homemade and receiving a clip round the ear! He recommended the ‘Torija de vino’ fried marinated bread pudding in red wine, which sounded a bit dubious to me, but he was right. It was the best of the bunch. A caramelised egg flan and a chocolate mousse was up there too. Having quaffed red wine as well as the food. The bill tipped in at a reasonable £40 per head (with tip). We had a great time. I would definitely try it again, it is always gratifying to see at first hand, top raw materials being cooked fresh on the premises by a passionate chef. Service by most of Manolo’s family is top notch as well. St Helens has a little gem here. It’s very own morsel of Spain. I stumbled on The Cruel Sea by chance. The flame loves Ben Fogle! and so when he did one of those ‘I love round here’ documentaries I caught site of an ace looking seafood restaurant. The documentary was called ‘Harbour Lives’ and centred on the Dorset coast. I managed to catch site of the name ‘The Cruel Sea’. Its owner, who featured on the programme is Pete Miles. He is a fisherman by trade. His concept is to front a restaurant that offers ‘from net to plate’. The Cruel Sea does just that. mackerel waiting to be cooked, the frontage. The cooked mackerel. It is set, quite unassuming in a parade of shops in a well-heeled part of Poole. It is a good mile from the sea. 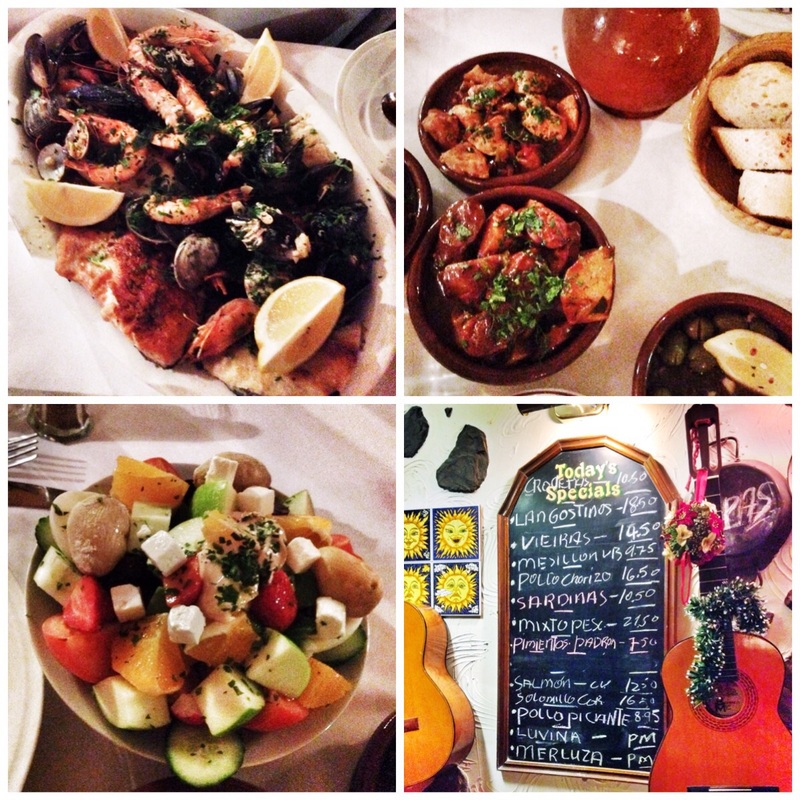 It is an atmospheric, lively bar and kitchen, serving fish, meat and vegetarian tapas-style dishes. 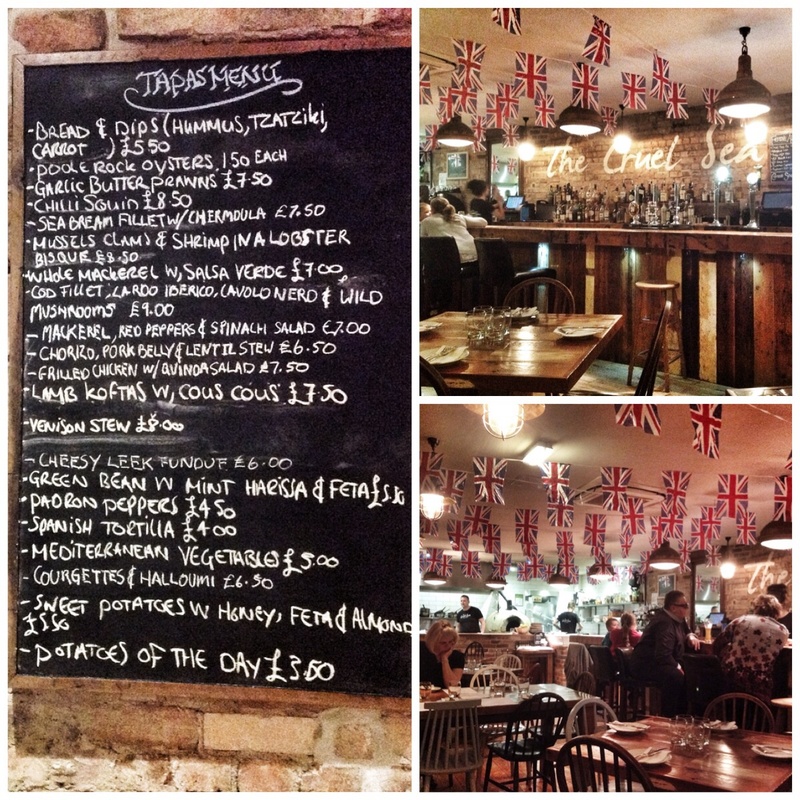 It offers decent wine, European lagers and great British ales. 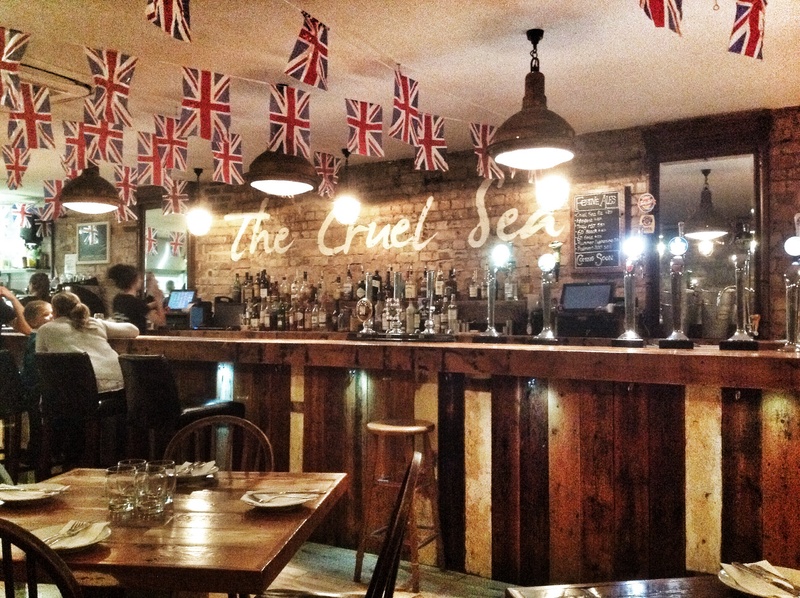 I had a pint of ‘Cruel Sea’ ale specially brewed locally for them. We turned in early, just after six. It was already half full, the atmosphere building nicely. It is rustic in style, the obligatory lanterns in the window providing the nod to the sea. A mass of union jack bunting donned the ceiling when we were there. Presumably confirming all the produce is local? The kitchen is open and set at the back of the long narrow bar. I had a quick chat with head chef Eugene and manager Jose. Whilst I was already loving the fish tapas menu, Eugene told me some dover sole and some crabs had just turned up that weren’t on the menu yet. He reckoned I could have some of that if i fancied it. I was gibbering with excitement. We ordered up. We had some bread and humus to start while we picked off the fishy stuff. Then in no particular order the morsels of goodness started to arrive. 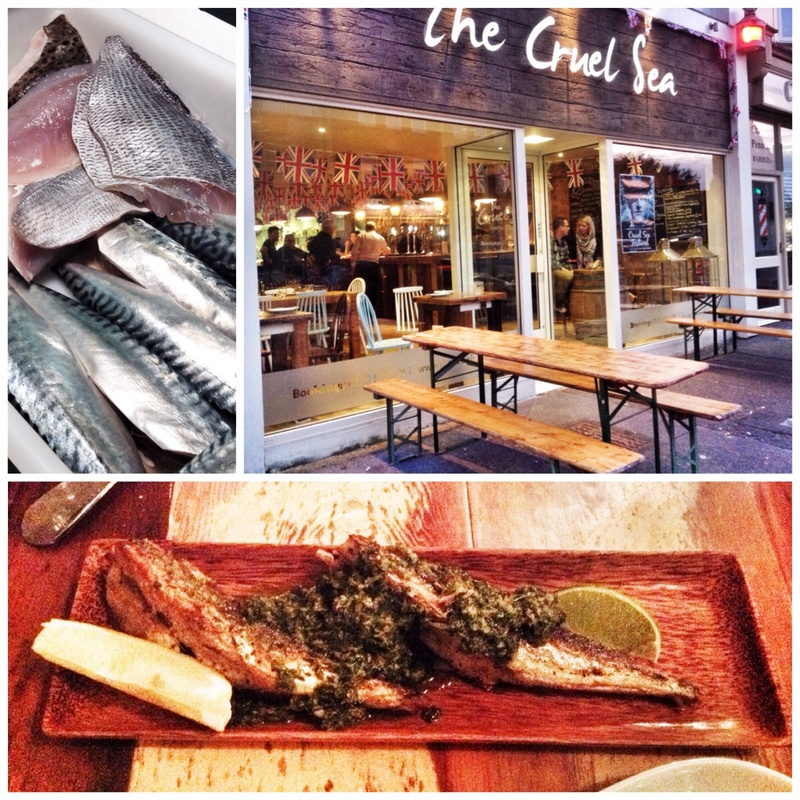 Highlight for the flame was the whole mackerel, beautifully filletted, then baked with a salsa verde (£7). It was superb. Highlight for me was the baked dover sole (£8) which came with a goblet of crab bisque, sensational. Other highlights was the tranche of cod set on wild mushrooms with kale and iberico ham (£9), the sea bream with a chamoula sauce (£7.50). The Flame had one nod at meat. grilled chicken with a lovely quinoa salad (£7.50), we also had a courgette and holloumi dish (£6.50) as our casual nod to something green and healthy. I finished off with the obligatory, homemade tiramisu (£4.95), set on a slate with a swirl of couli. Very nice too. We had a good chat with the young, buzzy staff who were bright, efficient and friendly. All in all a super night. We cashed in our chips at around £78. Pretty good for a good amount of freshly caught and cooked fish. 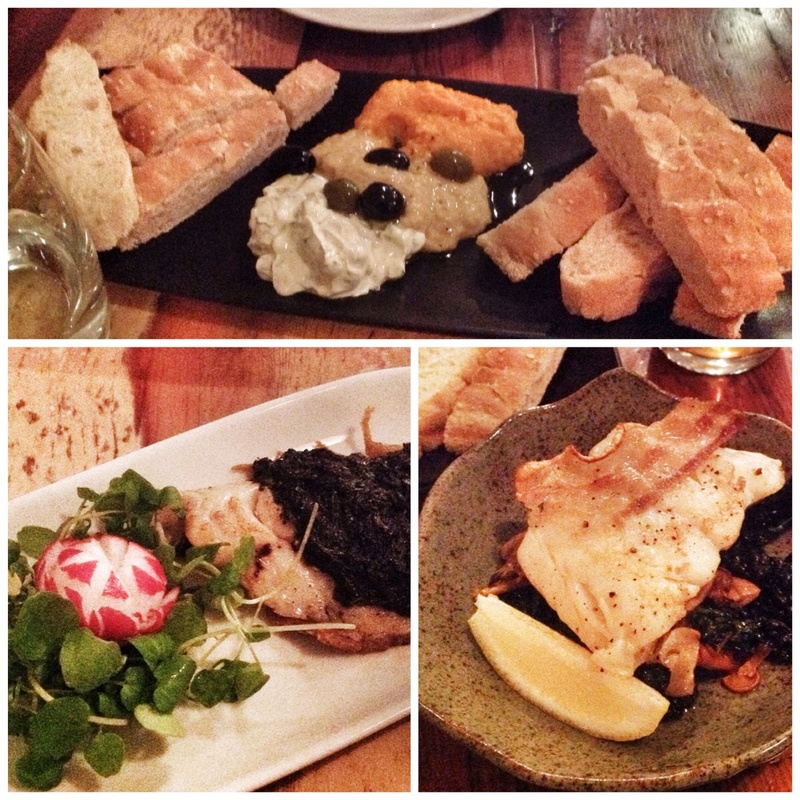 I love the idea of fish tapas, a great idea. The place was rammed when we left and this was a Wednesday night.Well worth looking out for. I’ll get the crabs and shellfish next time. Difficult to believe but somehow it seems to work. 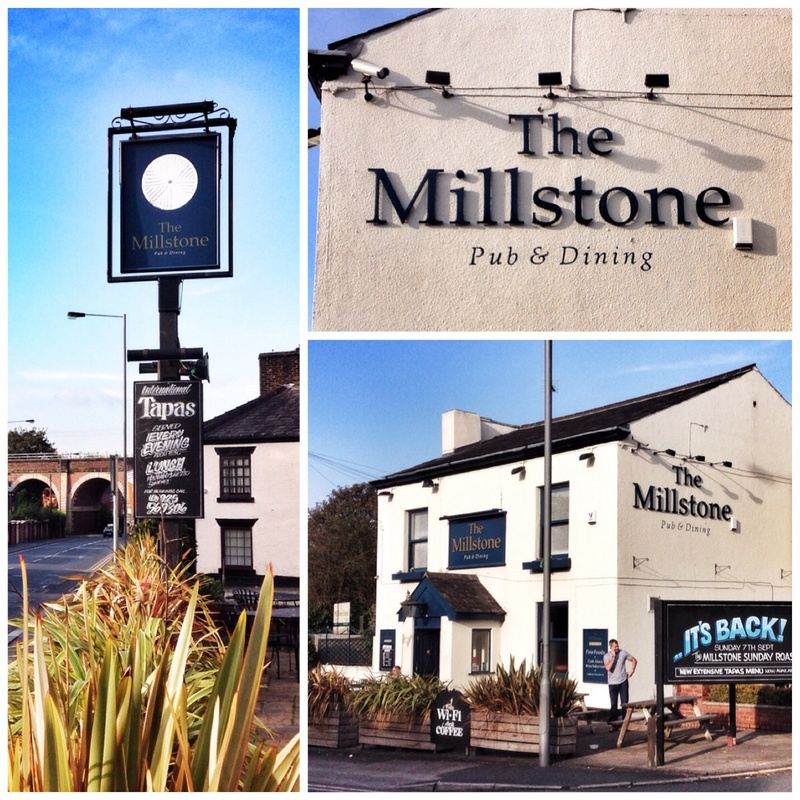 The Millstone is a small hostelry offering International tapas. It is on Mill lane heading out of Newton. It’s a little bit out of the way to be part of the standard High Street pub crawl. It’s niche really is its small and friendly bar offering decent cask ales for its merry band of regulars. It doubles up as a pit stop for our Sunday stroll. The pub is only small, square in shape, symmetrical set in two. You walk through the central door to be greeted by the small well kept, ‘U’ shaped bar to the right. The small, ‘thirtyish’ covers dining area is set behind a partition to the left. Cream and navy paint allied to neat signage and oak furnishings present the gaff in a smart, contemporary manner. A couple of big tellys in the bar side mean its a favourite with the sports fans. When we ventured in for a romantic trist we had not factored in the Rugby League Grand final. It was wonderful to be reminded throughout our meal that the Warrington Barmy Army were in and in fine fettle! Still such is the way the dining area is set off from the bar side you can enjoy your meal in relative seclusion. It was a little unusual on this occasion for it to be quite so raucous! Newton is a rugby town after all. 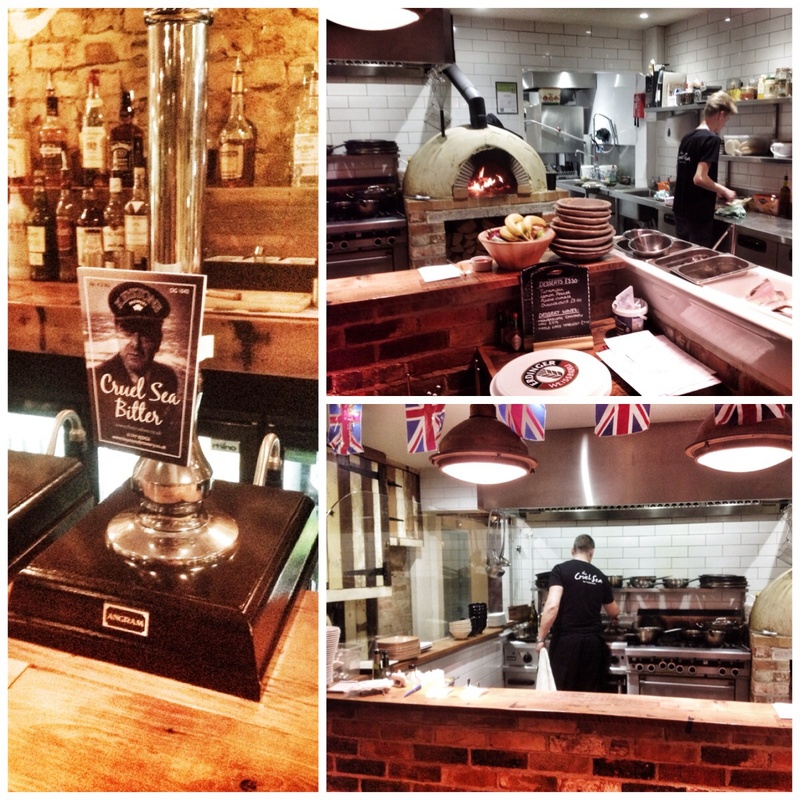 Head chef Paul uses quality local and international ingredients to produce the goods. 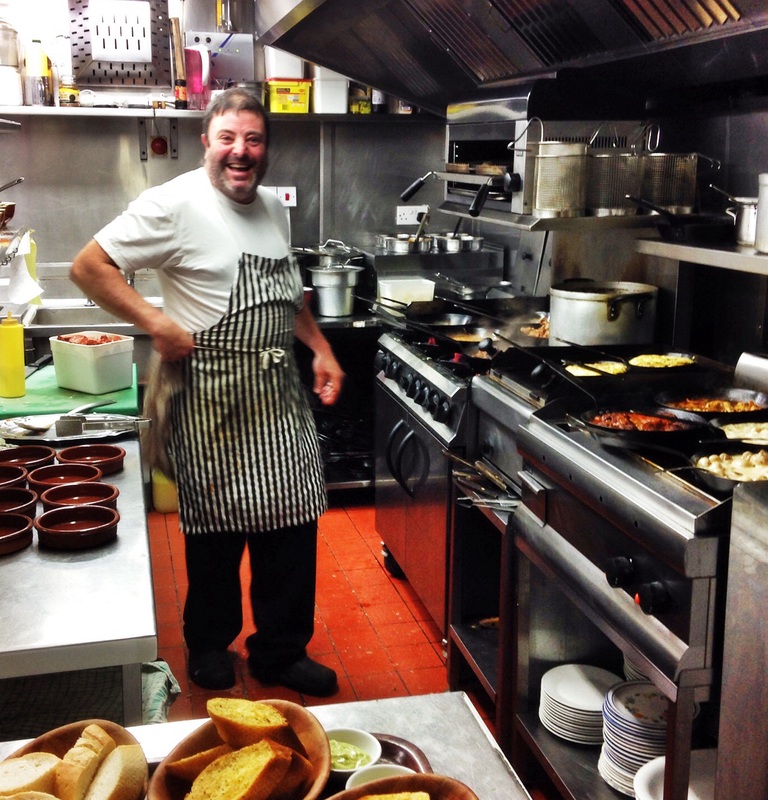 His mediterranean influence sparked by a seven year stint running a restaurant in Portugal. He prepares all the dishes to order on his trusty six burner stove and his huge collection of IKEA pans! This ensures the food is hot, tasty and perfectly cooked. Some dishes work, some don’t work quite so well. 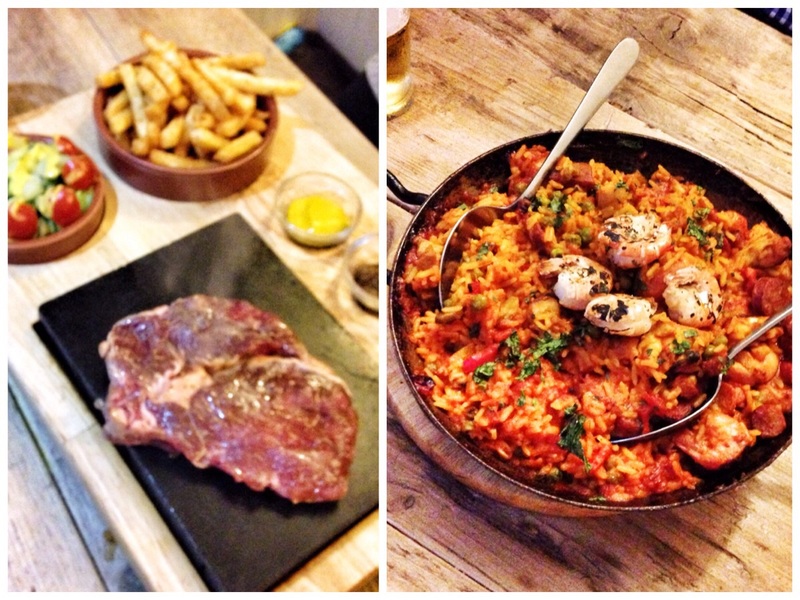 As well as the international tapas they do a steak on a stone, a traditional Sunday lunch and a first rate paella. Our opening platter of feta, anchovies, peppers and olives with warm bread was delightful. As were the spicy kidneys. My bury black pudding tapas in mustard cream was less so. The garish yellow sauce being a bit thin and sweet for me. The wine is good and well priced and my Thwaites Wainwright set the scene nicely. 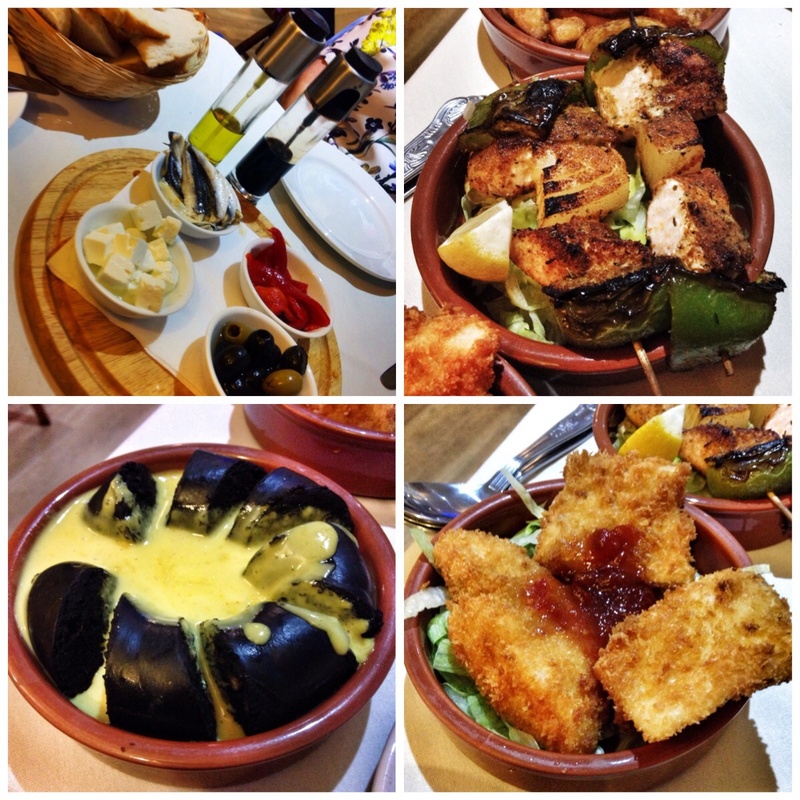 In contrast to some tapas bars the morsels turn up together and are then dotted around your table. This gives me the chance to steal some of The Flames superior choice at will, much to her annoyance! 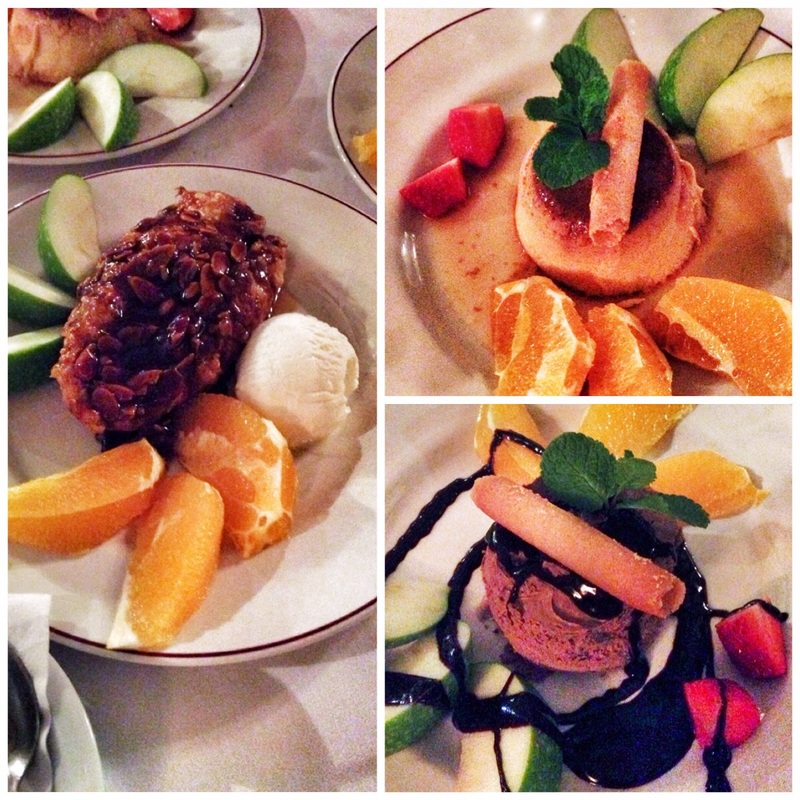 The menu is extensive and skirts around all walks of international cuisine. Spanish, Indian, Chinese, Mexican and many more all get a chance. I have witnessed a substantial paella in the past which I have yet to try. After our opening platter we ordered a further three dishes each (we were hungry!). The flame homed in on the fishy side of things which are thoughtfully listed separately. In no particular order we wolfed through a Cod in Panko breadcrumbs and a sweet chilli jam, salmon kebabs dusted in Cajun spices, Mini King Prawn fajitas, chicken and chorizo stew, bury black pudding in a mustard cream sauce and lamb cutlets. We washed this lot down with some spicy wedges and some warm bread. The dishes are all around a fiver, plus or minus a quid if there’s some posh fish involved. For me the lamb cutlets won. Four beautifully cooked chops around eight millimetres thick (are you sure they weren’t 9mm? – Ed). 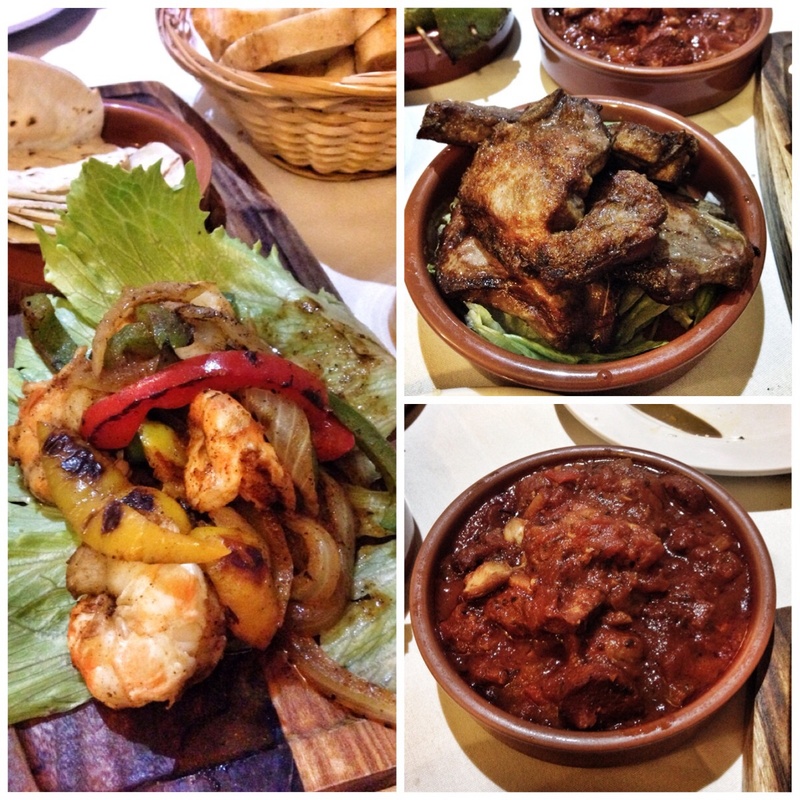 Another highlight was the king prawn fajitas, well cooked prawns with a hint of heat. The flame reckoned the chicken and chorizo stew won and who am I to disagree? To be fair it was all pretty good. As I mentioned above the slight downer being the swimming sauce around Bury’s finest. Using my special dessert stomach I managed an apple Betty with three scoops of ice cream just to finish! This lot all romped in at £60. We had quite a bit of grub and drink for that, after all we can both walk here! It was a crisp bright night so it was a pleasant walk home. So there you have it Newton has a few decent places to eat! We always nip to Ariete if we want Italian and Amans for Indian. 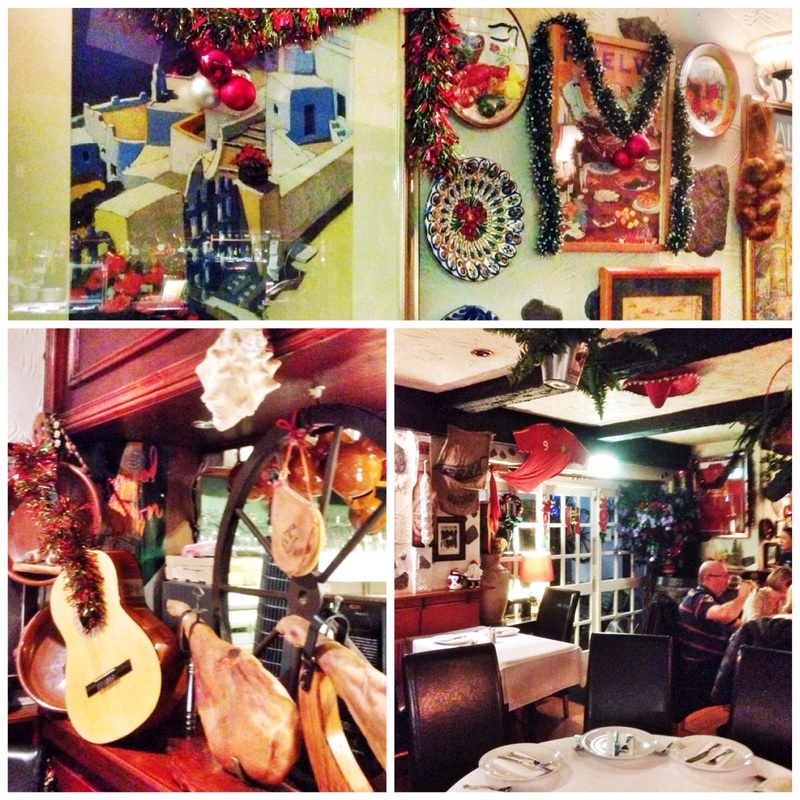 If you want a flash of Spain, The Millstone is the one. Occasionally the Cooktwit ventures west. A Manchester United supporter will sometimes allow a jaunty surjourn into the lofty, port side metrop of Liverpool. In fairness the sea frontage is a thing of beauty. In this instance the cooktwit. with a nod to his arty side was nipping into the Tate to view a couple of blocky, coloured pics by a long departed French cove called Piet Mondrian. Apparently he got quite famous for painting coloured squares and had some digs in London in the early 1900’s specifically for the cause. Naturally the jaunt had to include some decent grub and a beer. The understated outside. Smart inside. 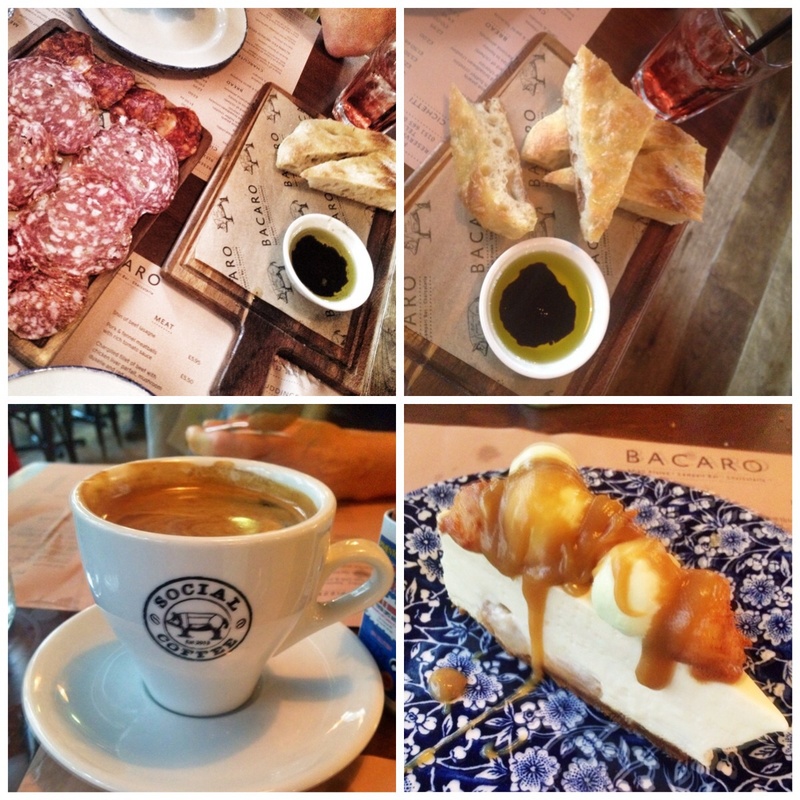 The selected establishment this time was Italian Tapas experts Bacaro. 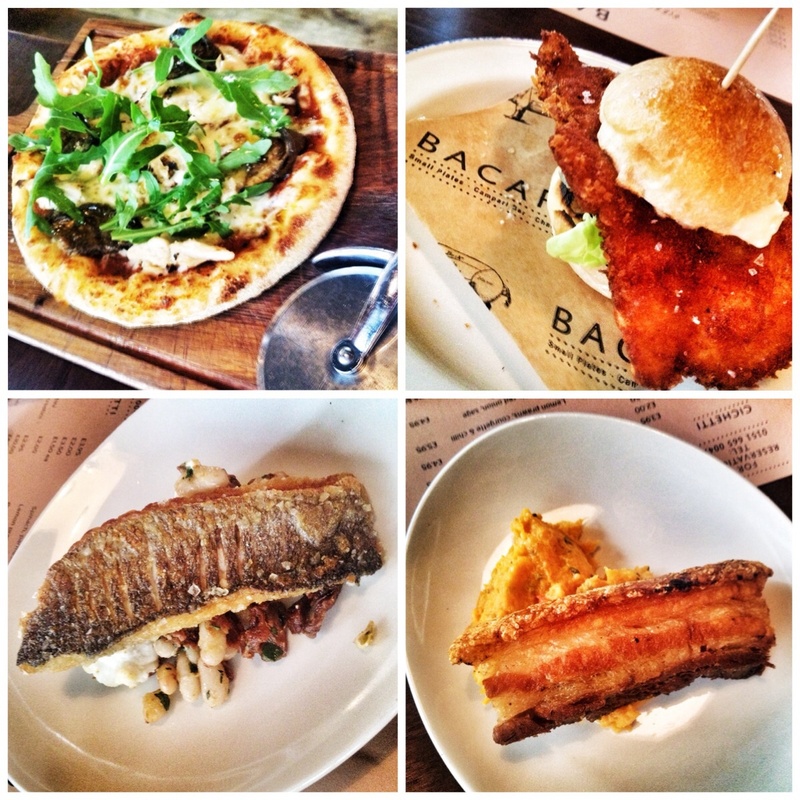 Bacaro is the sister of its noisier neighbour Salthouse Tapas that I reviewed only a few weeks back. I was impressed that time and had heard that this was even better. It took some finding. I actually fired google maps up to discover we were across the road. It doesn’t exactly shout out from the street, subtlety being the word here. But hey once inside things start to look up. A dark, classical decor harks to a more sophisticated atmosphere than its sister. Quieter, higher quality fittings. You could turn up with your tinsel and tiara here or your jeans and fit in quite nicely. The flame and I settled on a table for two in the centre. 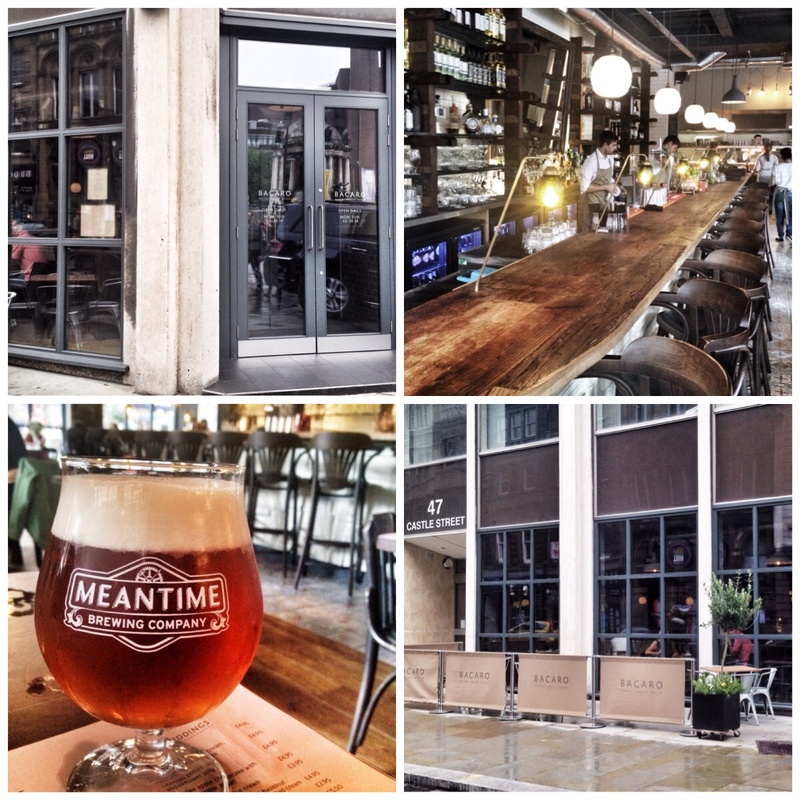 A schooner of ‘Meantime’ London Pale Ale had the cook twit settled in a thrice. Things were looking good. And then we got the menus. No readers meant the grey on brown menu was hard to decipher. 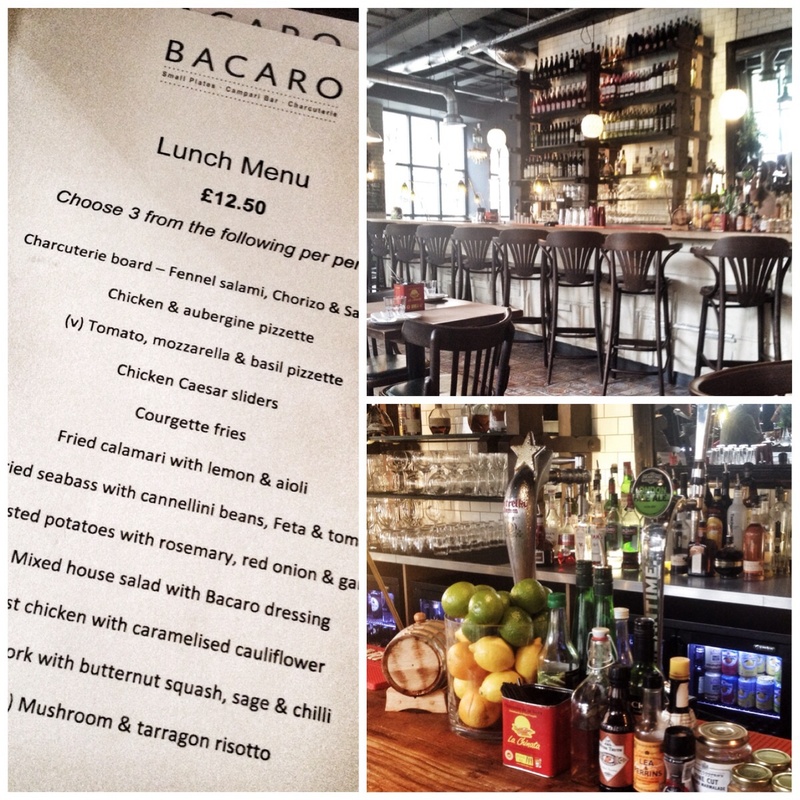 The lunch menu much easier to digest, £12.50 for three courses. As we were on a mission we quickly decided this was for us. 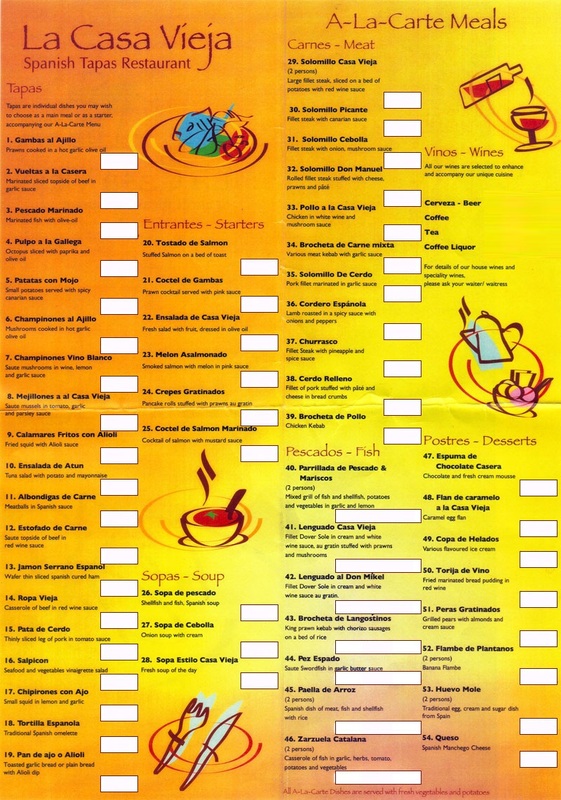 A choice of twelve delicious sounding dishes. 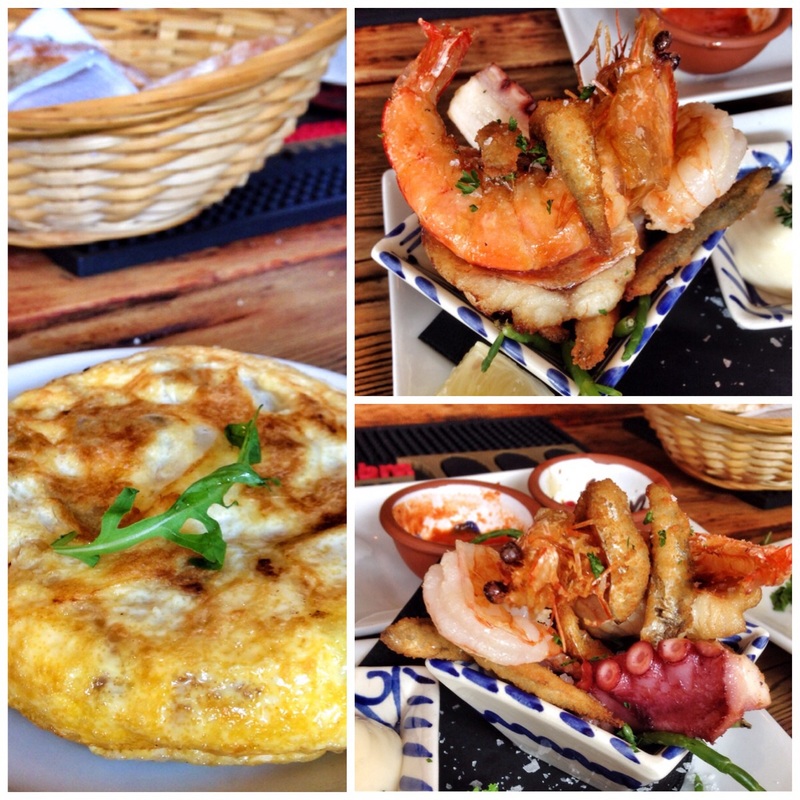 As with most tapas restaurants the dishes simply rock up when chef gets them ready. This can lead to a pile up at certain points. Things started at a pleasing rate, charcuterie platter and some lovely rosemary faccacia bread with oil. We each munched along with a joyous smile. Then entering side right, the pan fried sea bass with cannellini beans, feta and tomato. We decided to split in half. The beans were a bit cold but the sea bass was wonderful, tight crisp skin over succulent white flesh, very nice. For me The Flame wasted one of her dishes by having the house salad, it was pleasant enough, but salad! My chicken and aubergine pizzette turned up. Nicely mounted on its own board complete with its own chrome pizza cutter, nice touch. It tasted good as well. Again we split two ways. While I wasn’t looking in popped another of my choices. Chicken Caesar sliders. These were a revelation. As we got two, it was an easy share. Basically it was a mini schnitzel on a brioche bun with salad and mayo. Top dish. The plates were flying in by this time. Belly pork with butternut squash sage and chilli was next. What can I say? soft fatty, luscious pork with a shield of crispy crackling down one side. I managed to cut, roughly in half. Some might say my half was biggest but who’s counting? Set on a very tasty mash of butternut squash, it was another cracking little dish. For research purpose I had to try the cheesecake which had apple and caramel popcorn on it. To be fair this was pretty standard ‘moussey’ stuff and at £4.95 I could have missed it. We then finished with a decent coffee. All in all a very pleasant luncheon. It set us back £44, not bad with the drinks and the extras. I would have to say this was better than Salt House Tapas for me. A bit more grown up, nicer atmosphere. I would definitely come again and try something from the sensational looking full menu. The Flame has it on her radar for when she comes shopping with her mates. So there we have it another one to try in Liverpool. It’s looking good.